Trarza is a region in southwest Mauritania. 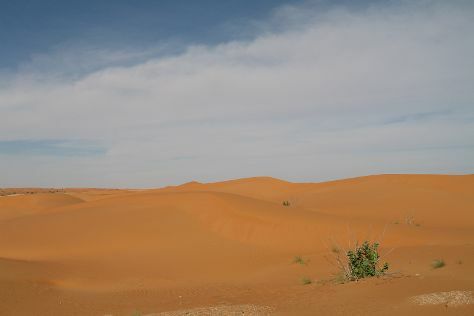 Start off your visit on the 24th (Sun): admire nature's extreme beauty at Mauritania Sahara. For more things to do, other places to visit, traveler tips, and tourist information, refer to the Trarza Region tour planning website . Chennai, India to Trarza Region is an approximately 28-hour flight. The time zone difference moving from India Standard Time (IST) to Greenwich Mean Time (GMT) is minus 5 hours. You will leave for Atar on the 25th (Mon). 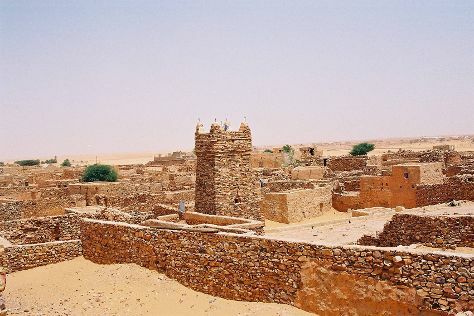 Atar is a town in northwestern Mauritania, the capital of the Adrar Region and the main settlement on the Adrar Plateau. 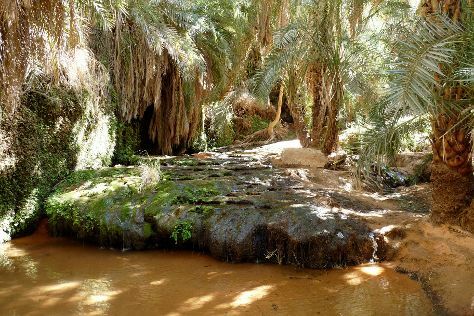 Start off your visit on the 26th (Tue): take in the dramatic natural features at Terjit Oasis. For ratings, traveler tips, photos, and tourist information, you can read our Atar trip builder tool . Use the Route module to find suitable travel options from Trarza Region to Atar. In March, plan for daily highs up to 38°C, and evening lows to 26°C. Wrap up your sightseeing by early afternoon on the 26th (Tue) to allow time for travel to Chinguetti. Chinguetti is a ksar or a Berber medieval trading center in northern Mauritania, located on the Adrar Plateau east of Atar.Founded in the 13th century as the center of several trans-Saharan trade routes, this small city continues to attract a handful of visitors who admire its spare architecture, scenery and ancient libraries. Start off your visit on the 27th (Wed): contemplate in the serene atmosphere at Chinguetti Mosque and then browse the collection at Bibliotheque Habott. For where to stay and other tourist information, refer to the Chinguetti vacation builder app . Getting from Atar to Chinguetti by car takes about 1.5 hours. In March, plan for daily highs up to 38°C, and evening lows to 26°C. Wrap up your sightseeing by early afternoon on the 27th (Wed) to allow enough time to drive to Nouakchott. Nouakchott, which means "place of the winds" in Berber language, serves as the capital and largest city of Mauritania, and one of the largest cities in the Sahara. Spend the 29th (Fri) exploring nature at Arguin Bank National Park. 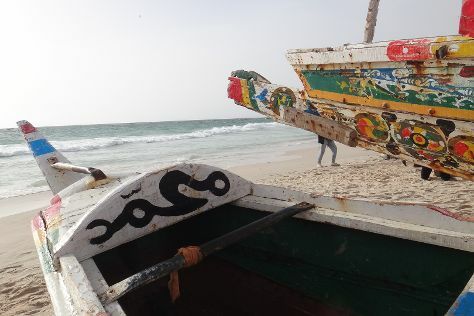 The adventure continues: take in the waterfront at Port de Peche, explore the galleries of Galerie Zeinart, contemplate in the serene atmosphere at Saudi mosque, and kick back and relax at Plage de Nouakchott. For ratings, more things to do, maps, and more tourist information, read Nouakchott online trip planner . Traveling by car from Chinguetti to Nouakchott takes 9.5 hours. Traveling from Chinguetti in March, plan for little chillier nights in Nouakchott, with lows around 20°C. Wrap up your sightseeing on the 30th (Sat) early enough to travel back home.